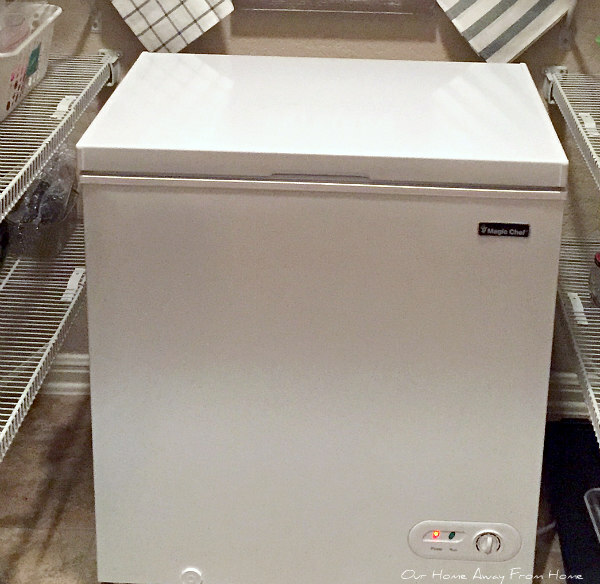 Great little freezer but there was a problem, the door would not stay opened half way on its own like the old freezer did and could not be opened all the way because of the pantry shelf right over it. Needless to say it hit me in the head several times while getting food in or out so we had to figure something out. My husband was able to cut the shelf so the door could be opened all the way and that is working just fine, but it left me with a blank space right behind it that looked awful. So, I made a sign! This is the before and after. While browsing at Kirklands for a gift, I found these little wooden number hooks. They came in a set of four and I figured I could use them to display some kitchen towels that I bought at IKEA a while back. And then I made a sign using some old wood we had in the garage. 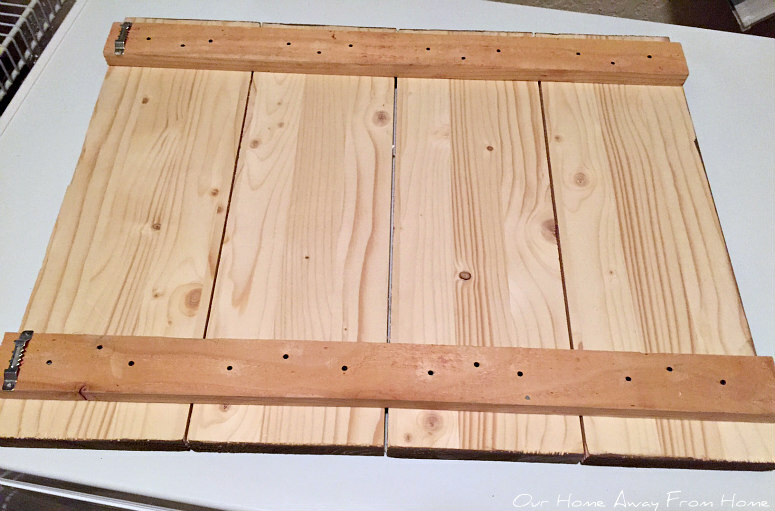 I first gave it a coat of white paint and while it was drying, I spent a good thirty minutes in my craft room mixing different colors of paint to match it as close as possible to the little hooks I bought at Kirklands. new paint color I had just created. When everything was almost dry, I pulled the vinyl letters off and let it sit overnight to finish drying. Next morning I distressed it a little using some fine sandpaper. I want to thank you all for stopping by and for always leaving me such wonderful comments. Mariaelana, you are the craftiest person! What a cute idea and clever use of that space! Hope the repairs continue and your life gets back on track soon. Love the sign and the hooks, they look fabulous. So sorry about all the damage. Hopefully repairs come soon. Dearest ME - first off whoo hoo on that awesome sign - we just got a new Cricut machine that can do that but I am just learning how to use it. I ADORE your job on that nifty sign! And about this storm and the damage? WHAT??? I need to read back posts, I had no idea - oh my golly - and your home is to-die-for gorgeous. I am so terribly sorry. Praying things work out to your satisfaction soon. Ugh. 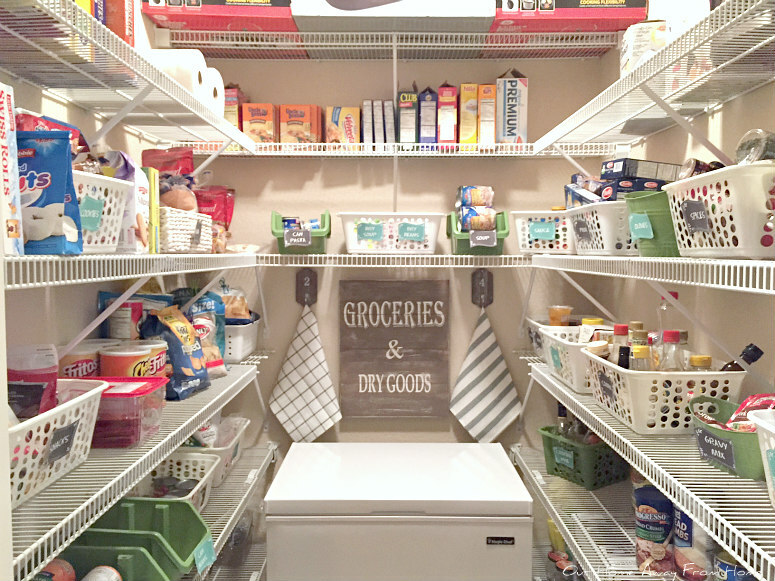 You've made lemonade and your sign/hooks and towels dressed up your pantry so well. That was a terrible storm and the after the storm events so disruptive. I like it. I think the sign and the towels the way you put it all together it's wonderful! I would never know how to create the sign you just created. You are very talented! My goodness- I didn't know how inconvenient some of these situations could end up being. I hope they'll be able to get to your car a bit sooner. The freezer fix works and I love the sign you made. The two towel holders look great there too! Someone I know that lives in New Mexico had a roofing company. They were kept busy every year from hail storms. Life is sure different in the southwest! I am so sorry your beautiful home went through so much damage, Maria. I know how much a roof can cost so I'm really hoping this was where the majority of where your damage was. It doesn't seem like your home is uninhabitable. Blessings! I love your sign...great inspiration!! Sending a hug during these difficult times. Oh Maria Elena, you are amazing! I love that you can still create and decorate when your house is literally crashing in around you!! 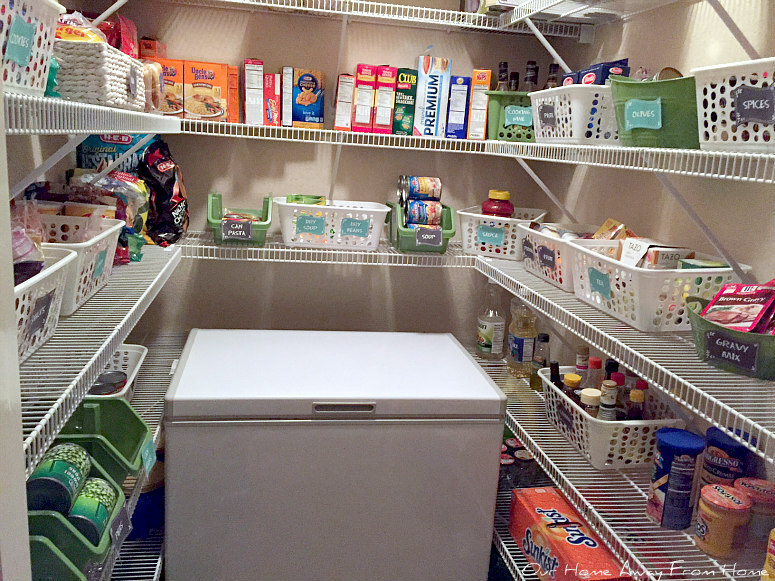 Your freezer area décor is perfect - how inventive of you to come up with the hooks and make that fabulous sign. Sure hope you can survive until you can get your house and vehicles fixed. Definitely puts my little worries of late in perspective. Sorry about your freezer, but LOVE the sign you did! Perfect! I am so sorry about all the damage to your home and cars, but glad none of you were hurt in all the horribleness. I hope that things will go well for the home repairs, & pray there are no more storms. 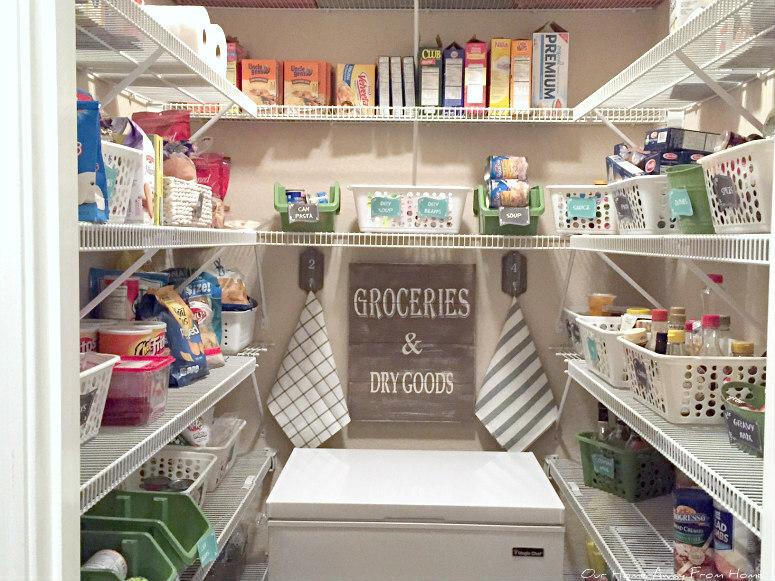 Cute idea with the sign and hooks for your pantry! I'm terribly sorry to hear about the extent of the damage done to your home and vehicles, dear friend! I adore your sign in the pantry! Keep focused on completing those repairs!